Principal Watkins will mail out transcripts and state test scores after the second semester grades are posted. Please allow the Shadowing Team one week to schedule a visit. If you would like a specific date, let us know. Is shadowing a full day or a half day? We recommend that students shadow for the entire day to fully experience life at Silver Creek, however half days can be arranged at the request of a family. Generally, a shadow will accompany a host with early schedule (7:15 a.m. – 1:48 p.m.) or one with late schedule (8:13 a.m. – 2:45 p.m.). On Mondays, which are minimum days, early schedule is from 7:30 a.m. – 12:30 p.m., and late schedule is from 8:15 a.m. - 1:15 p.m.. If the family would like specific shadowing times, arrangements can be made. Those shadowing should email scshadowing@gmail.com. If you have any specific requests, such as for an underclassman shadow or a certain class, sport, or program, let us know. What is a shadowing day like? Students shadowing should arrive at Silver Creek’s bus loop (next to the student parking lot) ten minutes before the host’s respective period (1st or 2nd) begins. There students are paired with their host for the day. Shadows will accompany students to their classes, meet teachers and other students, and be introduced to the Silver Creek campus. We suggest bringing a book or a quiet activity to do. Lunch begins at 12:15 p.m. on regular days and 10:25 a.m. on Mondays. Shadows may bring a lunch from home or $5 to buy lunch. At the end of the day, the shadow will be accompanied to the bus loop for pick up. The dress code of an average middle school also applies at Silver Creek. For instance, shorts must exceed the fingertips and tank tops must have a width of at least three fingers. In addition, Silver Creek has a strict rule against Blue and Red (although blue jeans are acceptable). The EVHS shadowing program is usually offered sometime in March. On shadowing day, 8th grade students should arrive on campus at 8 a.m. They must check into the Reception Desk of the front office (off Quimby at the front of the school) and then are escorted to Cougar Hall where their assigned Leadership students will meet them and take them to their classes for the day. Participating middle school students must submit the Release of Liability form, arrange their own transportation to and from this event and complete the EVHS Shadowing Sign Up form online. Students must come to the front of the school and not the back (Arcade Avenue). Lunch is provided for the students, however they are welcome to bring snacks and water or money to buy some food at break. School ends at 1:30 p.m., so students will need to make arrangements to return to their home school and get picked up from Evergreen. Our shadowing program is popular so please make sure to complete all necessary forms and submit them or your spot will be released to other students. If you any specific questions, contact namrata.challa@gmail.com or our Activities Director, Virginia Yenter at yenterv@esuhsd.org. 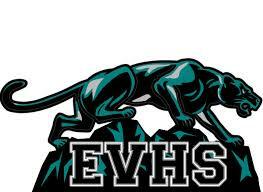 Evergreen Valley High School looks forward to greeting your wonderful students. Dates will be posted on the front page of Chaboya's school website once they are announced.